Hormones at menopause can help with sleep, memory, and more, but only when a woman also has hot flashes, find researchers at Helsinki University in Finland. Their study was published online today in Menopause, the journal of The North American Menopause Society (NAMS). NAMS and 14 other leading women’s health organizations agree that hormone therapy is acceptable at menopause for most women who are bothered by moderate to severe menopause symptoms. 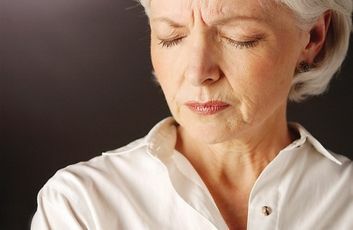 For women who aren’t bothered by moderate to severe hot flashes, this study indicates that hormone therapy will not improve their quality of life. “There has been a long debate over this issue. This new, well-designed study puts forth good evidence that hormone therapy does not improve quality of life in recently menopausal women who do not have numerous hot flashes,” says Dr. Margery Gass, executive director of The North American Menopause Society. The 150 women in the Helsinki study had recently gone through menopause. Seventy-two of them had seven or more moderate to severe hot flashes per day, whereas 78 had three or fewer mild hot flashes per day - or no hot flashes at all. For six months, about half the women in each group used hormone therapy (of various kinds) and half got only a placebo with no hormones. At the beginning and during the study, the women tracked their hot flashes and answered questions about their general health, sexual well being, and menopause symptoms, such as insomnia, depressed mood, nervousness, aching joints or muscles, memory and concentration, anxiety and fears, and menstrual cycle-like complaints, such as abdominal bloating and breast tenderness. The women with moderate to severe hot flashes had more sleep problems, irritability, exhaustion, depressed mood, joint pains, palpitations, nausea, and swelling than the other women. Hormone therapy helped the women who had moderate to severe hot flashes with their sleep, memory and concentration, anxiety and fears, exhaustion, irritability, swelling, joint and muscle pains, hot flashes, vaginal dryness, and general health. For the women with mild or no hot flashes, hormone therapy made no difference. A limitation of the study, cautioned the authors, is that the women were white, healthy, and lean, so the results may not apply to women of other ethnicities or with pre-existing health conditions. The article, “Health-related quality of life in women with or without hot flashes: a randomized placebo-controlled trial with hormone therapy,” will be published in the July print edition of Menopause.